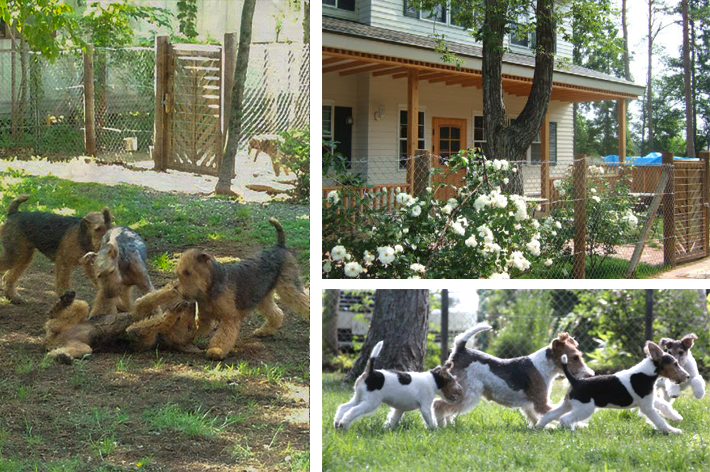 Home of C.K.Terra Airedale Terrier and Wire fox Terrier. We have our Facebook page and a blog. More informations on them.Please access ! So if you want our puppy let us know a head. We have breeding partner all over the world. We try to do all of my dogs for the test for hip, elbow, patella, kidney, heart. We do most loving care and puppy training baby food, puppy socialize till 3 to 6 month old. When we sell puppy they do have 5 or 8 ways shots more than 2 times. And deworm more than 2 times, health check by vet, microchip. For oversea we will do Rabies and all paper what you need for your country. When you contact us please let us know how you will keep the puppy and what you will do with them. If you want our puppy please contact us on the Facebook Message or email. we can talk about puppy's conditiion and how to sent to you. When I was working at Gabriel Rangel. I met beautiful dog. His name was AMCH Greenfield’s Celtic Legend. My believe in Airedale is him… what I want to breed is another Erick. Erick and his son Henry gives me a lot of joy to live with them. I took henry son and daughter with me to Japan. They are my foundation dogs. 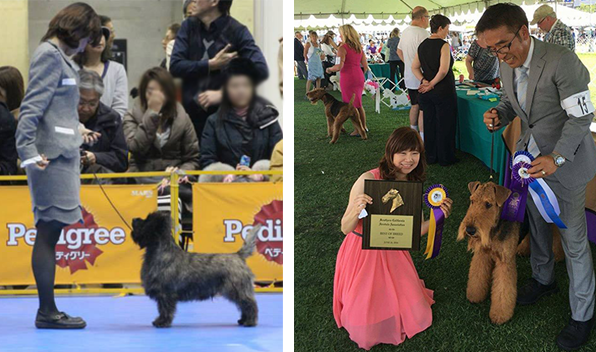 They came to be No1 Airedale Terrier in Japan. 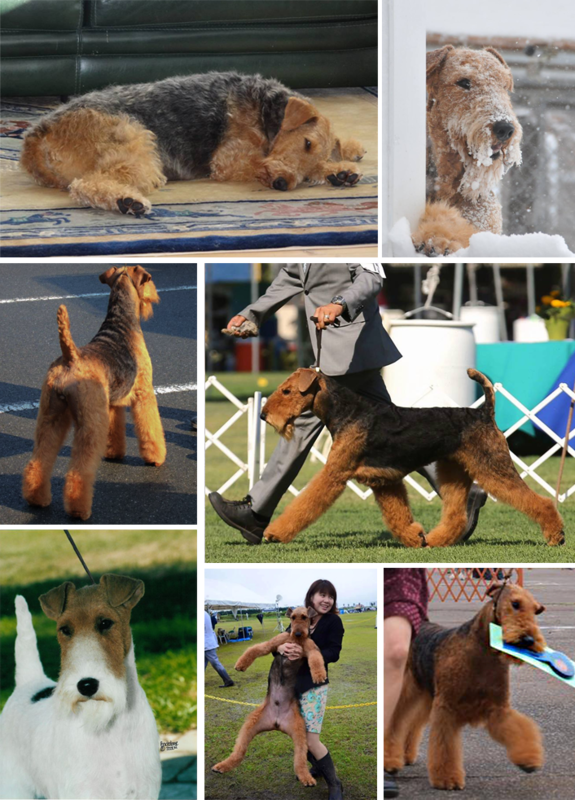 And they give us a lot of No1 Airedale in Japan. and other countries champion, also many Best in Show winners. When I was working for Bergit Kabel. AMCH Random Reanda Romance a.k.a.Taffe was at the Kennel. not like a wire fox…. terrier spirit… they can be really tuff to other dogs. they are wonderful partner for us.